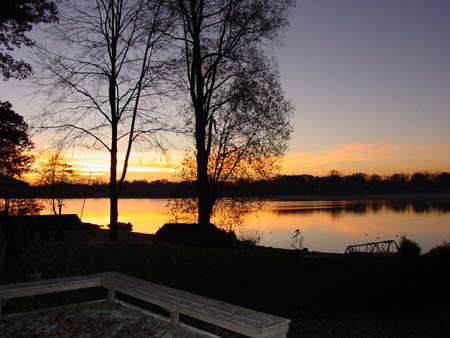 For the first 5 years of my life I lived in Bay City, MI before moving to Niles, MI. I graduated from Niles High School and the Berrien County Math and Science Center in 1998. Then I attended the University of Michigan and graduated in 2001 with a B.S.E in Aerospace Engineering. Next I went to graduate school at the University of Notre Dame and obtained a Masters (2004) and a Ph.D. (2005) in Aerospace and Mechanical Engineering under the direction of Dr. John Renaud. During my tenure at Notre Dame I got married to Rebekah. After finishing school I took a job with Lockheed Martin in Valley Forge, PA. Obviously a lot of other things happened over that timespan but those are the basic highlights. I have family spread out all over the U.S., from Michigan, to California, to Florida and Texas (well at least for part of the year). My brother Mark, currently lives in San Diego, CA. 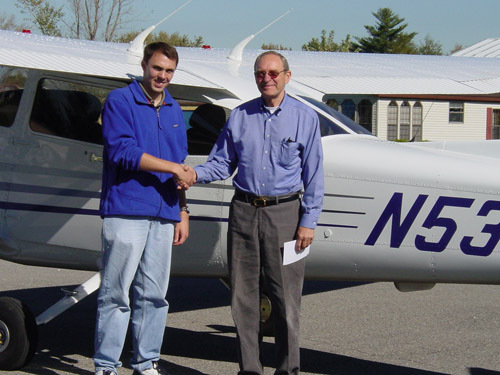 My first Solo Flight was on 4 April 2004! 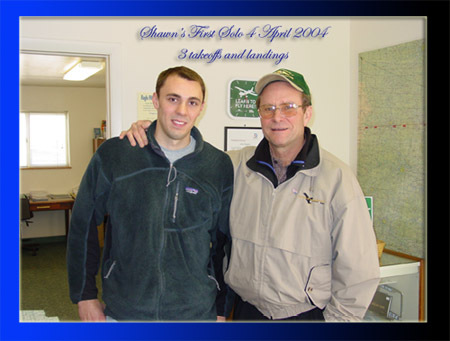 I am pictured with my CFI John Slegers. I made three takeoffs and landings in a Cesna 172SP at KVPZ. 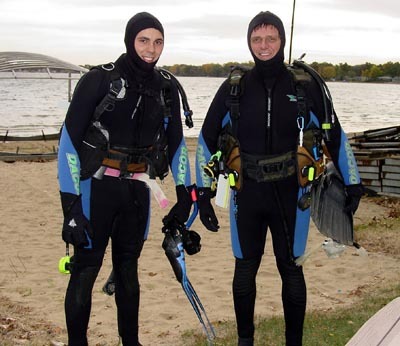 Phil Johnson and I before my final open water checkout dive for SCUBA certification. 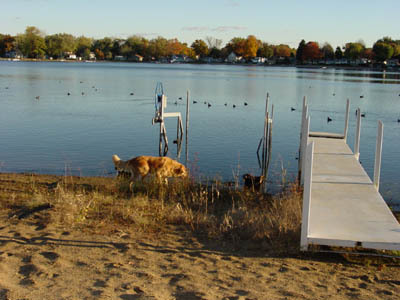 We dove in Barron Lake (Niles, Michigan)! This is us again preparing to dive. This picture was taken by Michael Collins from the command module as Buzz Aldrin and Neil Armstrong made their historical voayage to the surface of the moon. 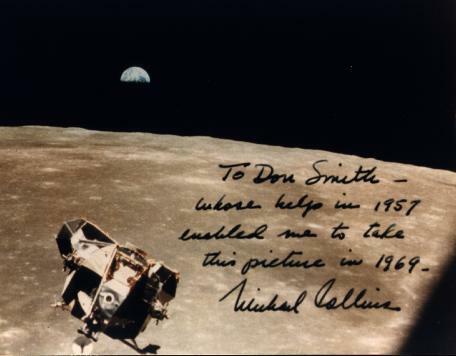 He signed this photo and gave it to my great uncle Don Smith who helped him on getting into the astronaut program. My grandmother made me a nice framed copy which I have sitting on my desk! 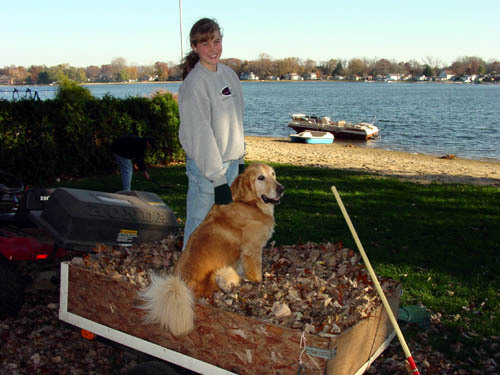 Rebekah and Chester working hard. A nice sun rise across Barron Lake. 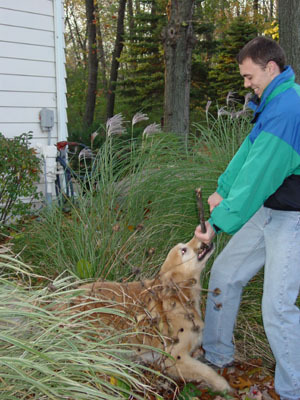 Chester and I fighting for a nice juicy stick.